Only 500 units of the Limited Edition Livestrong LS28IC Indoor Cycle will be available, and the first 150 orders will include an autographed picture of pro cyclist Lance Armstrong. With a distinctive high-gloss obsidian black steel frame and bold yellow accents, the Livestrong LS28IC Indoor Cycle features a commercial grade 40-lb. 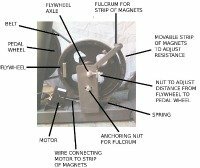 flywheel and a multi-ribbon drive system. It also features a premium aluminum seat, yellow wrapped grips, fully adjustable handlebar, and dual-sided SPD pedals with toe clips. 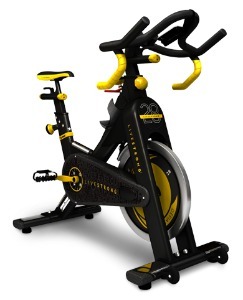 Released in January 2011, the Livestrong LS28IC Indoor Cycle sells for just $1,699 and ships free. Each purchase includes a $1,000 donation to the LIVESTRONG Foundation in the fight against cancer. Included on the seat post is a 7-star decal to commemorate Lance Armstrong’s record-breaking seven Tour de France wins. 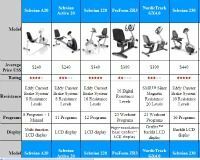 If you want to train indoors just like Lance, this is an outstanding cycle for you.